Dry eye syndrome is a common cause of eye irritation, burning sensation or redness. It is also known as keratoconjunctivitis Sicca or Dry eye. It can affect all age groups. Dry eye occurs when there is a problem with the tear film that normally keeps the eye moist and lubricated. Who gets dry eyes and what causes it? •As you get older & in women after menopause. •Medications – like diuretics, antidepressants, common cold medications, contraceptive pills, betablockers, eye drops used to treat other eye conditions. •Other diseases – Rheumatoid arthritis, systemic lupus erythematosus (SLE), and Sjogren’s syndrome. •Some younger people have no apparent cause. They simply produce less than the normal amount of tears. •Low blink rate – spending a long time looking at a computer, TV, or microscope. •Irritation in the eyes; the eyes may feel gritty or burning. •Slight blurring of vision from time to time. •If you wear contact lenses, you may find they become uncomfortable. A doctor can usually diagnose dry eyes from the symptoms. Tear film break-up time, Schirmer’s test and Corneal Fluorescein Staining is done to confirm the diagnosis of dry eyes. The possible complications of dry eyes are relatively uncommon. But Inflammation of the conjunctiva & cornea can occur. 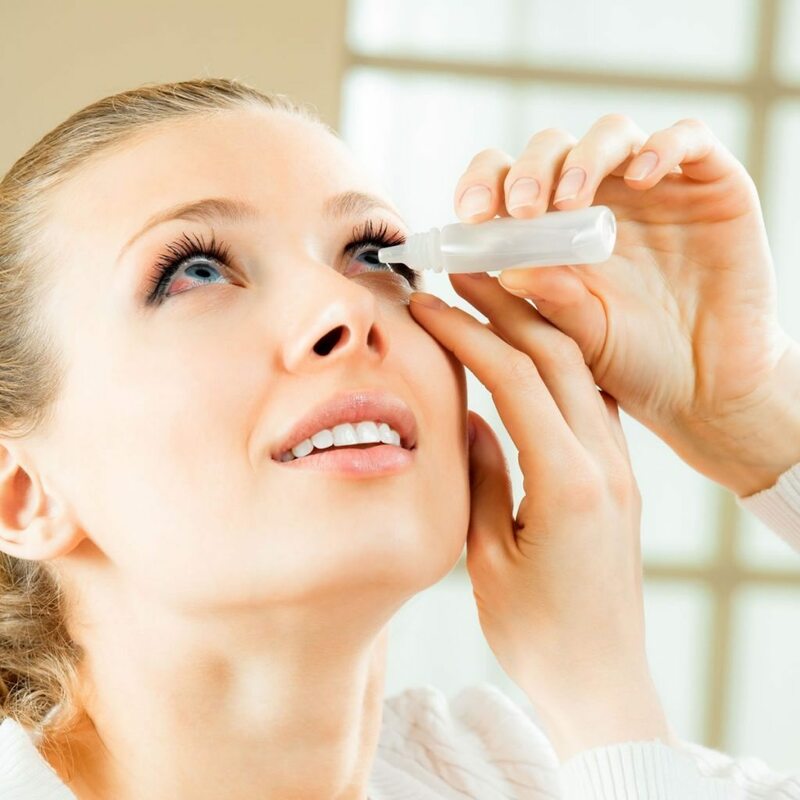 What Lifestyle changes may help ameliorate dry eye? Frequent computer use is associated with dry eye, so increasing blink frequency, taking scheduled breaks, and lowering the computer screen are all strategies recommended to ameliorate dry eye associated with computers. Humidifying ambient air, avoiding air drafts, avoiding certain medications as well as alcohol, smoking, air pollutants, and contact lens wear can also be helpful. A healthy lifestyle with balanced diet, ample of water intake, and regular and adequate sleep hours is advisable. Artificial tears, gels and soothing ointments usually ease the symptoms. Other treatments may be advised by an eye specialist in severe cases not helped by the above. Surgery is sometimes done to block the tears from draining away.